We don’t quite have a pot of gold for you, but Pioneer Bank is happy to help you when it comes to saving money for a rainy day. 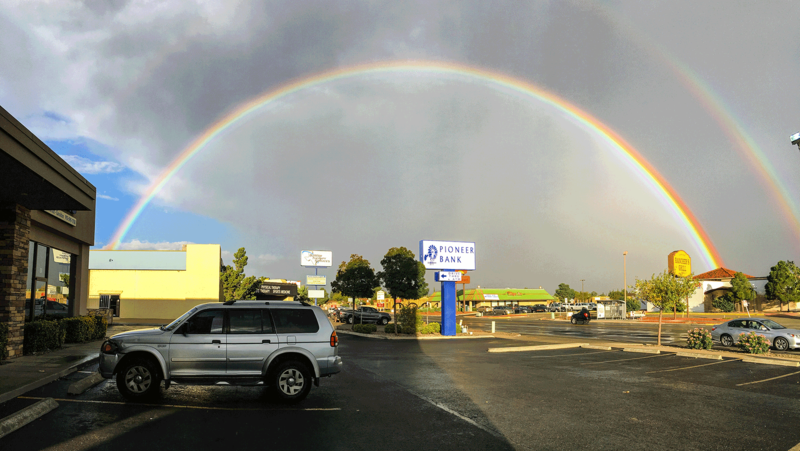 Our team member, Andrew Gemoets, shot this beautiful photo this morning at our Trawood Branch in El Paso. They have been experiencing much needed rain over the past few days. Pioneer Bank has a variety of products that will not only simplify managing your finances, but will help you save time and money. Visit your local branch today and speak with a customer service representative. Or, for more details, visit our website. Tags: beautiful, rainbow. Bookmark the permalink.